Located just 2,650 feet from the center of Morzine Ski Resort and Elevators, Le Char du Crêt proposes a self-catering apartment in a traditional Alpine chalet. A shuttle bus to the slopes can be found just a few minutes’ walk away. The apartment features a balcony with mountain views, a living area with a TV and a bathroom with a bathtub. The kitchenette is equipped with an oven, refrigerator and coffee machine. 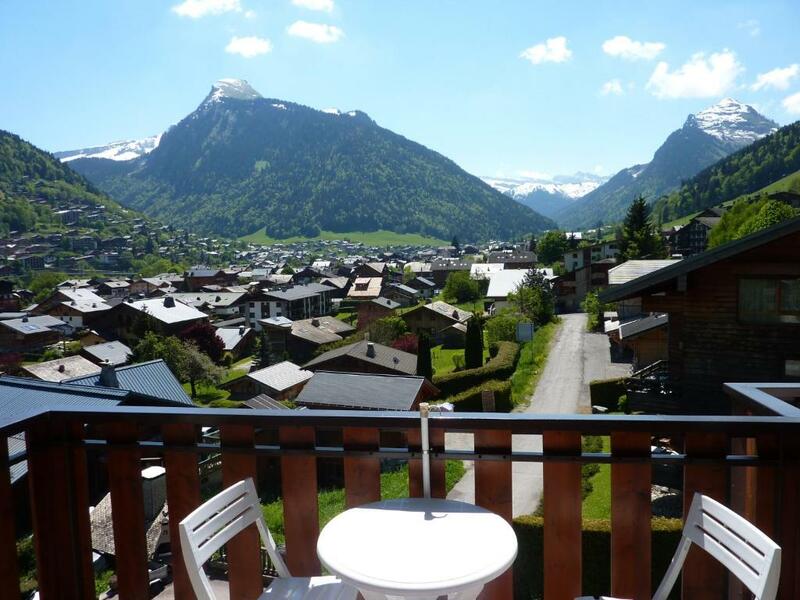 The center of Morzine is just an 8-minute walk away and Le Pleney Ski Elevator is 3,100 feet from the apartment. During the summer, guests can go mountain biking or hiking in the area. When would you like to stay at Le Char du Crêt? This apartment features a balcony with mountain views, a living area with a TV and a bathroom with a bathtub. The kitchenette is equipped with an oven, refrigerator and coffee machine. House Rules Le Char du Crêt takes special requests – add in the next step! Le Char du Crêt accepts these cards and reserves the right to temporarily hold an amount prior to arrival. Please note that property has no reception. You can collect your keys at the following address: Agence Baud - 143 route du Borg - 74110 Morzine. Please note that the agency is open until 18:30 on Saturdays and is closed on Sundays. Please contact the agency in advance if you plan on arriving out of check-in hours. We need at least 5 reviews before we can calculate a review score. If you book and review your stay, you can help Le Char du Crêt meet this goal.